The Kickoff Panel are Jonathan Coachman, Jerry Lawler, Booker T and Beth Phoenix. They ran down the lineup for tonight’s PPV. Charlie Caruso and JBL discussed Royal Rumble memories and moments from the past. Caruso said they were going to make new memories tonight on the road to Wrestlemania. They aired a video preview on Ronda Rousey vs. Sasha Banks. The panel began discussing the bout. They began discussing Rusev vs. Shinsuke Nakamura for the United States title. Backstage, Sonya Deville and Mandy Rose did a promo backstage about winning the Royal Rumble, promising they would have each others’ backs, until they don’t. Backstage, Kayla Braxton interviewed Drake Maverick, who announced that as the manager of AOP, he has made a deal with Vince McMahon. Akam is injured, but Rezar still wants to regain the Raw Tag Team Championship. So do The Revival, so Rezar will team with Scott Dawson, against Bobby Roode and Chad Gable and if they win, they will each earn a future title shot. He said that he hopes Scott Dawson will be on board. The implication was that the match would take place tonight, but it was never outright said. The panel wasn’t so sure the two sides could co-exist. They aired the annual “By the Numbers” Rumble video. The panel discussed the Women’s Rumble match. 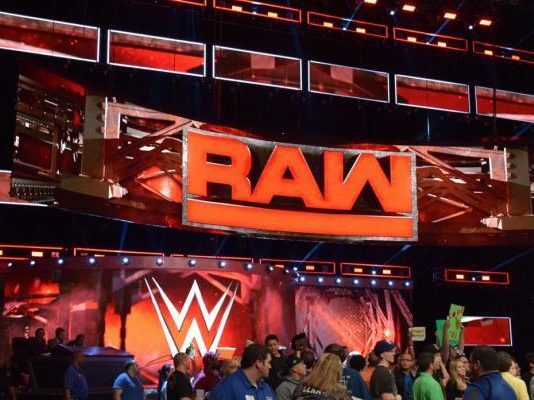 R-Truth and Carmella crashed the panel to announce the ‘breaking news’ that they are each number 30 in their respective Rumbles. Carmella said that after they win the Rumble, they are going to throw the biggest Dance Break in history at Wrestlemania. Carmella said that everyone’s betting on Nia Jax and Charlotte Flair but no one is betting on her – and ‘Mella is money. They get to be the last ones out, so they can watch and study and see what alliances are formed and what to be ready for. Lawler said that statistically, only three stars have won from the #30 position and questioned whether they really thought they could end up headline Wrestlemania. Carmella and Truth said they do. They aired a quick promo from Alexa Bliss from “earlier today” about returning to the ring for the Rumble. Backstage, Samoa Joe said he was the perfect combination of size, speed and viciousness. He said he wouldn’t be moved by anyone. He noted that Randy Orton thought it was wise to RKO him, but he’s built to win the Royal Rumble match. They aired video of Braun Strowman being removed from the Universal title bout, replaced by Finn Balor. The panel discussed the title bout. They noted Braun is now in the Rumble due to John Cena’s injury. Charly Caruso and JBL discussed AJ Styles vs. Daniel Bryan. JBL said it was going to be like Ric Flair vs. Ricky Steamboat. They aired a video feature on the WWE title bout. JBL predicted Bryan would retain. They talked about the Chase Field Rumble burger that was created for this event and went to a Bryan promo in the stands filmed earlier today. He said the stadium will be filled with empty people who are trying to fill their lives with bought products and disgusting calories. He said there will be people cheering for AJ Styles and they will be empty people trying to fill themselves with one of the burgers. He said if this is what they need, he can’t wait to beat Styles. He dropped the burger in disgust and stepped on it as he left. Another good promo from Bryan! A camera man tripped during the champs’ entrance. I didn’t know Titus was doing double-duty! They are entering from one of the dugouts. Dawson and Roode started out and went back and forth. Gable tagged in. They double teamed Dawson. Gable nailed a monkey flip for a two count. Dawson gained control and tagged out to Rezar. He chokeslammed Gable and drilled him with crossfaces as he held Gable against the ropes. Dawson tagged out and nailed a Northern Lights suplex for a two count. He locked in a chinlock. Gable hit a sunset flip but Rezar had tagged in. He mauled Gable and sent him face-first into the buckles. Dawson held his boot out and Rezar drilled Gable’s face into it. Dawson covered him for another two count. Gable was sent into the ropes but when he bounced back, he clunked heads with Dawson. It appeared Gable would make the tag but was cut off by Rezar. Rezar lifted him up but Gable hung upside down over the ropes with an armbar. Dawson tagged back in but Gable broke away from him. Roode got the hot tag. Roode nailed a series of clotheslines. Roode nailed Rezar, then hit a spinebuste. He speared Dawson in the corner and came off the ropes with a Blockbuster on Rezar. Dawson rolled him up and hooked the tights but Roode kicked up. Dawson came off the ropes but accidentally nailed Rezar, who went through the ropes. The champs worked over Dawson. Roode and Gable used the neckbreaker/moonsault combination for the pin. Your winners, Bobby Roode & Chad Gable! OK match. The scenario was silly but the action was fine. They aired video clips building Asuka vs. Becky Lynch for the Smackdown Women’s Championship. Charlie Caruso and JBL talked about the tag bout. WWE Intercontinental Champion Bobby Lashley and Lio Rush showed up to push the idea Lashley would win the Rumble. Shawn Michaels and David Otunga joined the panel. 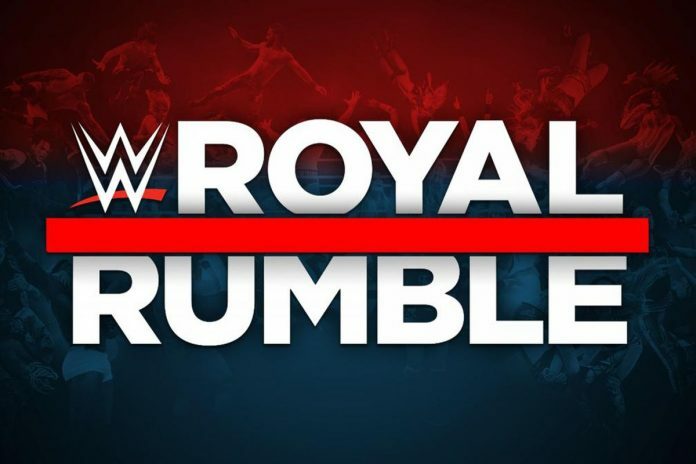 Michaels said the biggest differences with the Rumble now vs. when he was competing is that he felt he had been in the ring with just about everyone who entered the Rumble when he was wrestling, but now there’s no way to prepare since there were so many surprise competitors. The panel ran down the lineup. Rusev had early control over Nakamura, nailing several suplexes. Rusev clotheslined him over the top to the floor. Nakamura was grabbed on the floor and whipped towards the stairs but leapt over them and landed on his feet, then leapt off with a kick on argue U.S Champion. Nakamura tossed Rusev back into the ring and nailed several knees to the chest. Nakamura placed Rusev atop the turnbuckles and nailed a knee strike to them mid-section. He drilled Rusev in the mouth and cinched in a front facelock. Rusev made a comeback with a Fall Away Slam and a spinkick for a two count. Nakamura fought back but Rusev caught him with a kick to the head for a two count. Rusev went for the Accolade but Nakamura slipped out and nailed a kick to the side of the head, then another to the side of the face for a two count. Nakamura went for a running kick but was nailed with a lariat that sent him upside down. Rusev nailed a Machka Kick. He went for another but was caught in a cross armbreaker. Rusev was trapped in a triangle choke but powered up. He was caught deeper in the choke. Rusev finally powered him up but was caught in a hanging front guillotine. Rusev finally turned it into Jackhammer and scored a two count. They battled to the ropes. Rusev was knocked off. Nakamura nailed a Landslide for a two count. Nakamura was frustrated he couldn’t get the job done. Nakamura channeled George Steele and began working over one of the turnbuckle pads, trying to remove it. Lana got on the apron and argued with Nakamura over his attempt to cheat. Rusev charged Nakamura, but he sidestepped, and Lana was bumped off the apron. She immediately grabbed at her ankle. Rusev got distracted and went to check on her, but Nakamura nailed the Kinshasa from behind and scored the pin. Your winner and new WWE United States Champion, Shinsuke Nakamura! I don’t think anyone saw that coming, so this was a bit of a surprise. They aired a good, maniacal backstage promo with Nikki Cross in front of a fence, about being in her first Rumble. They aired a video recap of last night’s excellent Takeover PPV. Shawn Michaels said the NXT roster tore it down, as they always do, and said it really all unfolded after the main event. They showed the footage of the post-show confrontations and brawl that Triple H broke up. Shawn Michaels announced they would be in a six-man tag team bout next Sunday broadcast as Halftime Heat on the WWE Network. Everyone battled with. Murphy and Itami ended up alone in the ring. They slapped and struck each other Murphy was knocked out of the ring. Itami and Kalisto battled. Murphy came from underneath for a powerbomb. Itami hit a dive to the outside. Kalisto was knocked down but caught Murphy with a rana as he went over. Itami tossed Tozawa and Kalisto back into the ring and worked them over. Murphy returned to the ring but was dumped back out by Itami. Kalisto sent Tozawa out of the ring onto Murphy. He nailed a kick on Itami and slammed him for a two count. Tozawa returned with a big missile dropkick and a running leg lariat on Murphy for a two count. He went to the top rope but Itami nailed him and crotched Tozawa on the top. Tozawa took out Itami and nailed a dive to the outside. Kalisto nailed a springboard moonsault to the outside. Murphy nailed a big flip dive to the outside. Kalisto worked over Murphy and scored a two count with a rana that drove the champ’s head into the mat. Murphy drilled Kalisto with a superkick in the corner and nailed a sit-down powerbomb for a two count. Tozawa and Murphy battled back and forth. Tozawa nailed a bodypress but Murphy rolled through. Tozawa nailed an inverted rana for a two count. They all went into a series of two counts. Kalisto scored one with Salina del Sol on Itami. All four competitors were down and spent. They recovered and battled back and forth, brawling. It came down to Tozawa and Kalisto battling back and forth. Tozawa nailed an enziguiri but was drilled with strikes by Murphy. Tozawa nailed a big jab but was nailed by Murphy, who then nailed Kalisto. Itami and Murphy battled. Murphy nailed a big knee strike and drilled him with Murphy’s Law for the pin. Your winner and still WWE Cruiserweight Champion, Buddy Murphy! A really damn good, fast paced bout. A nice representative for the 205 Live brand. Backstage, Drew McIntyre said lots of men lie about the pain and what they are willing to endure. He said he’s endured pain his entire life. He asked where The Shield, Dolph Ziggler, John Cena and Kurt Angle are, because he can’t see them. He said he was going to win the Rumble and then go on to win the main event of Wrestlemania, because he’s the king of the Raw jungle. The panel discussed the Men’s Rumble bout as they closed out the Kickoff Show. They circled each other before Lynch grabbed a side headlock. Asuka tried to fight her way out and was sent into the ropes, where she shoulderblocked Lynch down. Lynch and Asuka jawed with each other. Asuka missed a spinning backfist and then a dropkick. Lynch dared her to fight her. Asuka went after her but Lynch grabbed the champion from an attempted Disarmher. Asuka avoided it and nailed several kicks to the hamstring. She went for another, but Lynch caught the leg and peppered her with forearm shots. Lynch sent Asuka into the ropes and drove her down to the mat. The Champion went to the floor for a breather. Lynch followed but Asuka rolled into the ring. Lynch went to follow but was blasted off the apron with a hip attack. Asuka went for a kick but Lynch avoided it, then drilled her with a big boot across the apron. They battled on the floor, where Asuka slammed Lynch into the ring apron. Lynch regained control when they returned to the ring. Lynch controlled her arm. Lynch worked over her arm and locked on the Disarmher in the ropes and then in the buckles, wearing down the champ. Lynch came off the ropes for a move but was drilled with a knee in the face. Lynch worked over Asuka, who fired up. Lynch met her with a series of knees and sent her into the corner. The champ bounced up to the buckles and nailed a missile dropkick. Asuka nailed a big hip attack and a backfist before snapping Lynch over with a German suplex. Asuka followed up with another hip attack for another two count. Asuka went for a missile dropkick off the top but missed. Lynch covered her, but the champ kicked up at the last second. Lynch went to pull up Asuka but got snapped into a cross armbreaker, then pulled into an attempted Asuka Lock. Lynch was able to fight to the ropes to escape the submission before Asuka could completely trap her. They battled back and forth with forearms on the apron. Asuka attempted to nail a German suplex off the apron to the floor but Lynch escaped. She then went for an exploder on the apron. Asuka attempted a Perfectplex on the apron but they ended up crashing off the apron down to the floor. It looked like they may have clunked heads as they hit the floor. Ouch! They were nearly counted out. Asuka made it in at seven. Lynch made it in at nine. Asuka snatched her into a pinfall combination but Lynch kicked out. They fired back and forth with slaps and punches. Asuka scored with a combination of punches and slaps. Asuka drilled her with a spinkick for a close two count. They battled to the corner, where Becky nailed an exploder off the top into the ring for a close two count. That was great. Asuka went for the Asuka Lock, then cinched in Lynch’s own finisher, The Disharmher. Becky turned it into an Asuka Lock. Asuka nailed her with a kick but Lynch rolled through and caught her in the Disarmher. She didn’t get it as deep as she wanted. Asuka escaped a rollup and locked on the Asuka Lock. Asuka turned that into a version of Bryan Danielson’s Cattle Mutilation and Lynch had no choice but to tap. Your winner and still Smackdown Women’s Champion, Asuka! A hell of an opener. They fought their asses off and had lots of great near falls and submissions. I don’t think anyone expected Lynch to be the one tapping here, so this certainly makes one wonder if Lynch is going to enter one of the Rumble matches. That’s right, I said one of – she is the Man, right? A good back and forth match. I thought some of the offense Shane kicked out of was ridiculous, but they like to present the McMahons like meta-humans, so it is what it is. Miz’s work as the babyface in peril was really good here and The Bar were great. Shane and Miz celebrated with Miz’s dad at ringside. Dana Warrior was also ringside and hugged them. Sasha Banks was interviewed backstage. Nothing has ever been handed to her. Ronda Rousey may be a UFC Hall of Famer but Banks is going to make her tap out tonight. They noted Banks’ birthday is today. Banks shocked Rousey with an armbar takedown early. Rousey responded in kind. They were each showing swagger early on. Rousey nailed several suplexes and went for another, mocking Banks always using the Three Amigos. Banks blocked it and went for the Bank Statement only to be stopped by Rousey. Banks stepped to Ronda but was kicked out of the ring to the floor. Ronda followed and worked over her but missed a punch and nailed the ringpost, hurting her arm. Banks nailed a dive to the outside and brought the champ back into the ring. Banks worked her over on the mat and drilled her with several knees to the back. They started out hot, but are now slowing down a little. Banks nailed Rousey with a double running knee strike in the corner and followed up with more knee strikes for a two count. You could hear dueling chants coming from the crowd. Rousey fought back and sent Banks into the corner, only to be caught with a boot as she charged. Rousey came back with an elbow for a two count. Banks continued the attack of Rousey’s injured arm and nailed another running knee. Banks scored another near fall. Rousey made a comeback and went for Piper’s Pit, but Banks turned it into an armbar submission on the injured arm. Banks was even biting her fingers. Rousey tried to turn it into a pinfall combination, but Banks turned it into a Bank Statement. Rousey fought for the ropes and finally broke it. She nailed the Piper’s Pit and then locked Banks in an armbar in the ropes. Rousey went to the top. Banks nailed her to prevent the Champion from executing a move. Banks appeared to be going for a suplex but was fought off. She rebounded with a knee that stunned Rousey and nailed a superplex for a close two count. Banks snapped her right back in an armbar. Banks went for another dive but Rousey caught her and locked in a submission on the floor outside, Banks tapped but obviously, it didn’t count. Back in the ring, Rousey worked her over with strikes and punches. Banks connected with one but Rousey drilled her to the mat. Banks sent her hard into the buckles. Banks locked in the Bank Statement. Rousey fought to escape. Banks turned it into a Fujiwara armbar. Banks began manipulating the fingers. Rousey rallied and picked up Banks, then rudely slammed her to thge mat. Rousey nailed Piper’s Pit and scored the pin. Your winner and still Raw Women’s Champion, Ronda Rousey! A hell of a back and forth match. Banks was absolutely great here and Rousey was right there with her. A really damn good match. Rousey showed Banks respect on the floor after. Banks raised the Four Horsewomen fingers, pointed at herself and walked off. They showed Finn Balor preparing for his title bout. They showed Paul Heyman going into Brock Lesnar’s locker room. A GREAT Royal Rumble! Lots of great moments and performances and a great story with Becky coming from nowhere to win. So many great moments here and lots of inspired performances. Really fun. They had some really good back and forth wrestling early on. They seemed to be pacing themselves slowly early on. Bryan was trying to stall a bit. Styles worked him over with a chinlock. Bryan sent him into the corner and then to the floor, where Styles was selling he hurt his arm. Bryan capitalized on that, running him shoulder-first into the ringpost. Back in the ring, Bryan continued working over Styles’ arm, trying to get the submission. Bryan worked over Styles with a series of right hands. Styles nailed a big standing dropkick to stun Bryan. He nailed a running forearm in the corner, then drilled him with a big backbreaker Styles followed up with a Neckbreaker for a two count. It looked like Styles might be bleeding from the nose. Bryan nailed a drop toehold inton the corner and followed up with a series of kicks. He nailed a running kick in the corner. Styles caught him going for another but Bryan slipped behind him and nailed Dragon suplex for a two count. They battled to the floor, where Styles hit his moonsault into his inverted DDT on the floor. Styles brought Bryan back into the ring and went for a springboard 450 splash. Bryan pulled his knees up and locked on the LeBell Lock in the center of the ring. Styles was able to escape and scored a two count, then locked in a Calf Crusher. Erick Rowan showed up at ringside, wearing a flannel shirt. So, he’s going to be associated with Daniel Bryan, I guess playing Luke Gallows to his CM Punk. The referee got bumped by Bryan. Styles hit the Styles Clash. Rowan entered the ring, placed a claw on Styles’ head and slammed him to the mat. Bryan scored the pin. Your winner and still WWE Champion, Daniel Bryan! This was OK. The match was good, but then the ending just turned it into a TV angle. Rowan held Styles up for Bryan to nail with a running leg lariat. They pushed the Halftime Heat special for next Sunday. Balor went right after Brock and attacked him in the corner. Brock cast him aside, sending him over the top to the floor, but Balor continued to attack. Brock finally caught him with a big belly to belly suplex overhead that sent Balor to the floor. Lesnar attacked Balor on the floor and worked him over, sending him to the barricade. Lesnar tossed Balor, who crashed to the floor. Brock set up the announce table for destruction but Lesnar was smashed into the table by Balor, driving his mid-section into the corner of the table. Balor was able to do that a second time. Lesnar cut him off with a knee but sold that he was hurt. Balor attacked him and began working over the mid-section. Lesnar sent him flying into the buckles and drove his shoulder into Balor over and over. Brock nailed a big overhead suplex but was selling his ribs or mid-section was injured. He drove Balor again into the corner and drilled him with another suplex. Lesnar charged but was kicked away and nailed with a Slingblade. Brock fired back with a clothesline that wiped a charging Balor down with authority. Brock went to nail a back suplex but couldn’t lift Balor. He went for an F-5 but Balor countered and turned it into a DDT for a close two count. Balor began stomping away at the injury and Lesnar rolled to the floor. Balor nailed a flip dive to the floor. He nailed another one. Balor waited for Brock to return to his feet and nailed a third one. Balor nailed a dropkick in the corner and hit the coup de grace. The building was shocked by this. Balor covered him but Brock kicked up at the last second and cinched in the Kimura. Balor tried to fight out of it, but tapped out. Your winner and still Universal Champion, Brock Lesnar! It was a really well put together match in terms of making the audience think Lesnar was truly on the ropes and was in danger of losing, only to have Balor’s victory snatched away and snuffed out. Lesnar attacked Balor and began whipping out back suplexes after the match. He nailed Balor with the F-5.